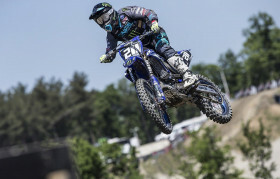 ASTES4-TESAR Yamaha Official EMX250 rider Nicholas Lapucci entertained an enthusiastic crowd onboard his GYTR-equipped YZ250F in the hills of Orlyonok, at the Russian MXGP which hosted Round 3 of the EMX250 Championship. 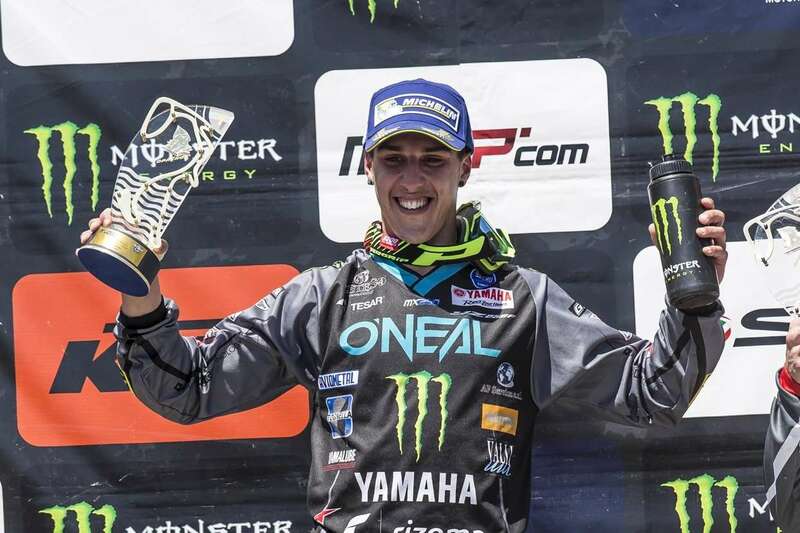 In 2 thrilling races Lapucci went 3 – 2 to secure his first ever EMX250 round victory. The event took place over 2 days – Monday practice and qualifying followed by the first points race early on Tuesday morning. 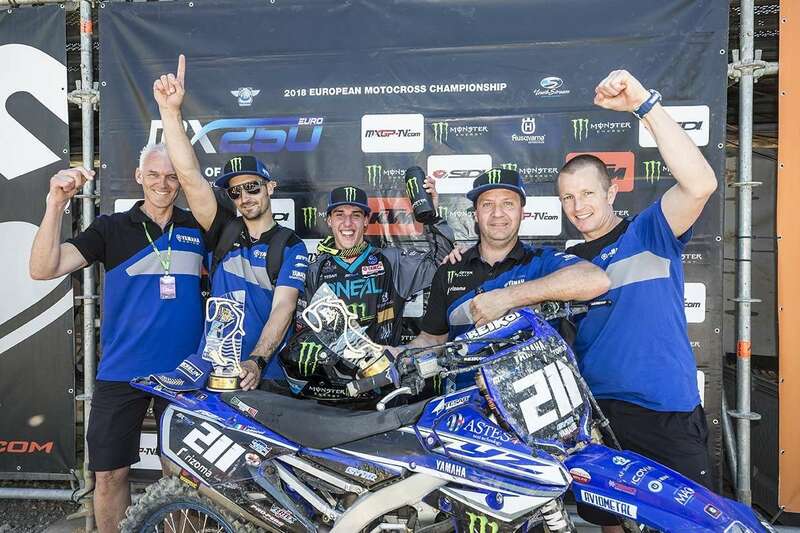 In a season that has, up until now, been marred by crashes, ASTES4-TESAR Yamaha Official EMX250’s Nicholas Lapucci reaped the rewards of keeping his GYTR-equipped YZ250F rubber side down this weekend. The talented Italian got off to an incredible start in Timed Practice where he finished 2nd. His lap-time was only 00.282 off 1st place. With a solid gate-pick the 19-year-old used all the power of his YZ250F to challenge for the lead from the start in the opening race, finishing 1st and mixing with some of the fastest 250cc riders in the world. On Day 2 the temperature continued to climb and hit 30C and the track required significantly more water than the previous day. This meant the concrete-like clay of the track became extremely slippery and challenging for the riders. Lapucci has grown up riding traditional hard-pack tracks in Italy and took it in his stride, finishing 2nd and claiming the overall victory. 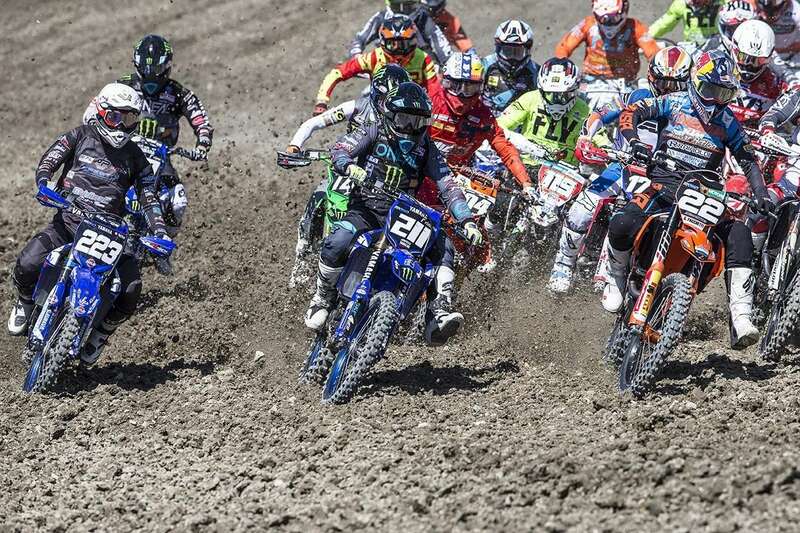 The EMX250 class has been developed to help young talent learn the challenges they may face in Grand Prix racing. This inevitably involves dealing with bad luck which is exactly what ASTES4-TESAR’s Roan van de Moosdijk had this weekend after a big crash meant he was unable to rejoin the opening race. With a little less skin on his arm going into the second day, the Dutchman was hungry to make up some ground, managing 4th place in qualifying and battling hard for 12th overall. 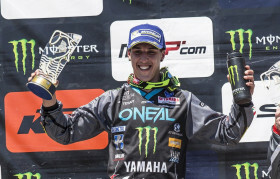 Before the weekend Lapucci had only scored points in 1 of 4 races and that was at the opening round of the Championship in Spain, where he finished 18th. 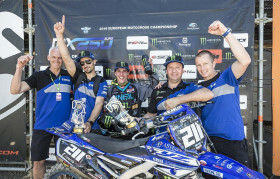 The Italian proved to be the dark-horse in Russia with a thrilling overall victory – the first of many at the start of his career and the first for his team, ASTES4-TESAR Yamaha Official EMX250. He made an enormous leap forward in the EMX250 Championship standings and is now in 13th place, 18-points behind his teammate Roan van de Moosdijk in 10th. 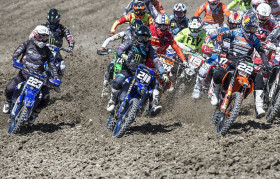 The next round of the EMX250 Championship will take place in Latvia on the weekend of May 13th.